Friends, it's legitimate. I recently submitted final grades for the semester and now it's officially break from classes. You know what this means, right? It's time for a fireside chat! Except I don't have a fireplace, so this picture will have to suffice. And we're not in the same physical location, so our "chat" will be rather unilateral. 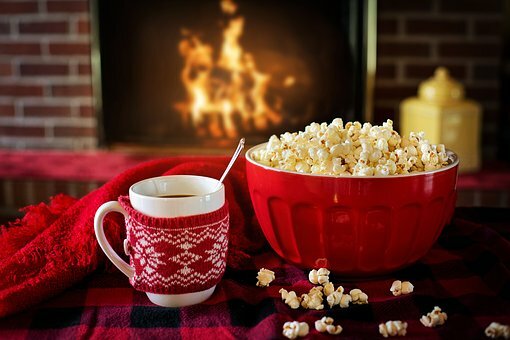 But if we were sitting together by a fireplace, I'd hand you a mug of steaming hut cocoa or coffee (your choice), and we'd let the conversation naturally meander, like good conversations should. Passing Time. Let me be the millionth person who recently has said this: Time is passing quickly. About two weeks ago I wrote a post about cutting the grass for the final time, then the semester pulled me into an alternative universe so I haven't written here for a while, and then -- just yesterday, in fact -- my children had a two-hour delay due to the first snowfall. Somehow, in the time it took me to blink, December not only has arrived, but has reached its halfway point. We're on warp speed. Keeping Perspective When You're Worn Down. I always feel a little crunched, a little off-kilter, and a little on-edge during the final weeks of the semester. So many decisions must be made. I check email more cautiously than normal, wondering if there's going to be a message with a vague, yet telling, subject line like "Question," from a student who's on the cusp between grades and arguing for the higher. I taught delightful classes this semester, too. When I'm in a classroom, I'm alive, and this makes me realize that I'm doing what I ought to be doing. Christmas Cards. Oh man. Every year I realize that people send Christmas cards, and every year I think, "Robin, you should be one of those people," and every year I also realize, "But, I don't want to be one of those people, because those people clearly are adults and I'm not functioning on that same level." Why this simple task of goodwill and cheer challenges all my resources each year, I'm not sure, but it's the hardest hurdle for me to scale. Am I alone with this? Do any of you struggle with sending Christmas cards? It's my holiday Achilles heel. You'll Love Me for This. Do you have a Trader Joe's where you live? 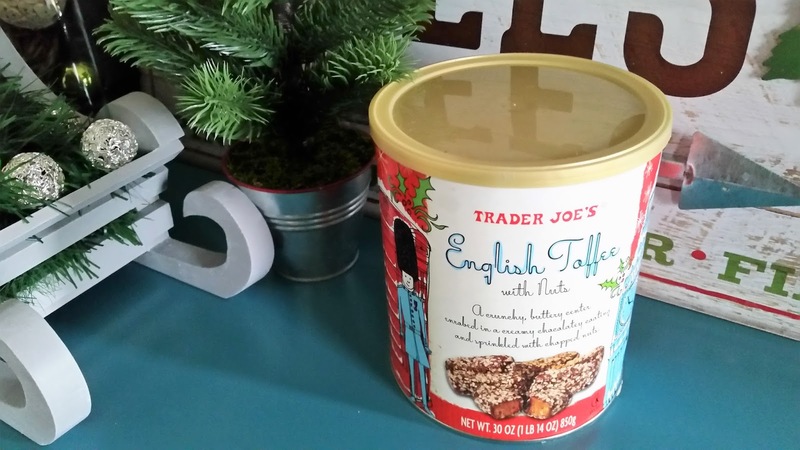 If so, have you tried their English Toffee? It's only sold during the Christmas season, which is good, because if it were available year round I'd have a problem. It's glorious! It's addictive! It's unsurprisingly chock-full of calories and fat, but if you ignore that part and feign illiteracy when you see the nutrition label, you'll find that you can be an overachiever and eat much more than the recommended serving size. Try some. It's worth it. On Counting Down. With ten more days to Christmas, there's still much to do. Over break I need to prepare next semester's courses and complete writing for work, and of course, there's still Christmas shopping ahead. But mostly, I want to catch my breath. I want to have evenings when I sit in our family room by the glow of the Christmas tree and soak in these moments -- the handmade Popsicle-stick ornaments on our tree, the feel of my younger girls' heads leaning on my shoulder as we snuggle under a blanket on the couch and read books together with Nat King Cole singing in the background. I want to slow down my pace so the next ten days aren't on warp speed, so I feel them passing, so I can consciously reflect on the miracles of this season.